The KJUS Tree Ring Down Ski Jacket will carry you through from the first cool breeze of fall through to winter's bitter chill. A 20K Dermizax® waterproof membrane with a DWR fabric treatment will repel everything from rain to heavy snow. 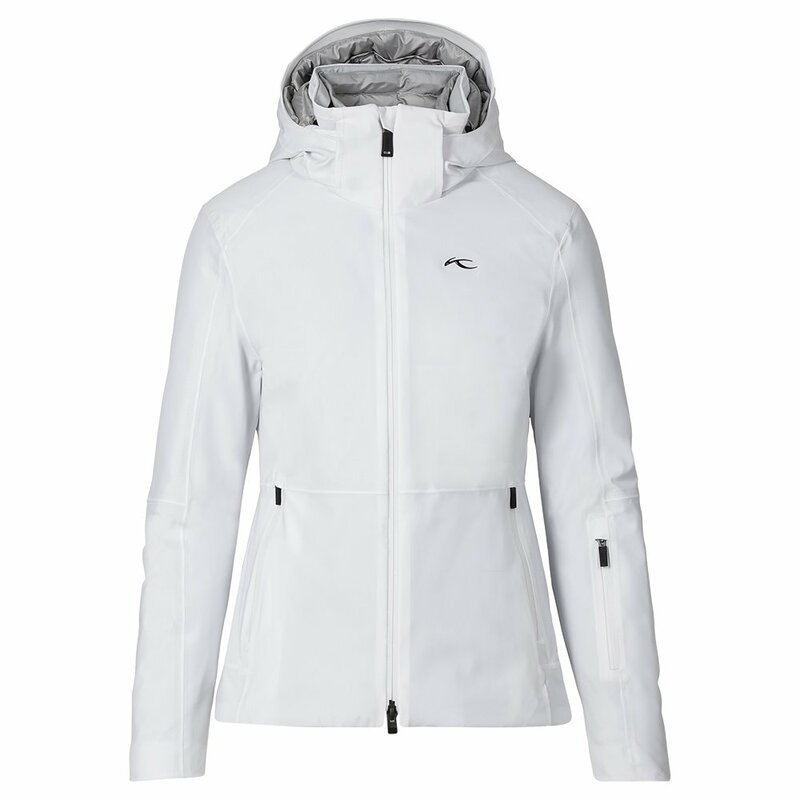 And a removable premium down inner jacket offers plenty of insulation to keep the cold at bay. Can't figure out what to pack for your ski trips? With a unique zipper system, the Tree Ring Jacket gives you six ways to look and feel great wherever you go this winter. "Do you think I would be too hot in this jacket if the temps are 20-25? I'm trying to decide between this one and the Kjus Formula? This one was so comfy." "This jacket will be perfect for Temps that are 20-25. You will be very comfortable in the KJUS Tree Ring Down Ski Jacket (Women's) in those temperatures."